The Italian agricultural sector depends heavily on the presence of migrant workers, often employed in black market and seasonal labour especially during the harvest time (which requires numerous labor force for limited periods of time) and in less skilled jobs.In the South of Italy, the right to health is to the exposed to the highest level of direct and indirect violations, due to factors such as the lack of access to drinkable water and adequate food and the systematic failure to comply with rules of occupational safety.Simultaneously multiple violations of rights such as the right to work and to a decent pay, the right of access to housing and the right to health are very frequent. 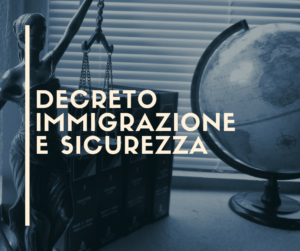 Another central element is the effectiveness of the new legal instrument represented by the Legislative Decree 109 of 16 July 2012 (the so-called “Law Rosarno”) in about a year after its enactment. The direct beneficiaries of the project will be the documented and undocumented migrant workers in the agricultural sector, associations, socio-legal operators, lawyers, legal practitioners. The indirect will be civil society, migrants, institutions and farms. The project intends to intervene in isolated and far from urban centers areas characterized by a strong marginalization. Health and social situation : After having defined the areas of interventions (following those criterias: the seriousness of the conditions of labor exploitation, with particular attention to the consequences in terms of health protection; criticality of housing conditions, lack of organizations and association dealing with social and legal protection) the project will conduct a monitoring of the main social and health institutions and organizations, identifying the ones which are able to respond to the health needs of migrants employed in agriculture. An investigation on the socio-sanitary and working conditions of migrants will also be carried out, starting from the health care practice. Legal aid : Lawyers and legal advisers of ASGI and LTPD will lead training activities targeted to the socio-legal workers and local associations on the new legislation (“Law Rosarno”) and will ensure ongoing counseling and legal assistance. A network against the exploitation of migrant workers in agriculture will be created and will continue its activities to protect workers and the activities of information and advocacy towards public opinion and institutions. Public opinion, the competent institutions and policy makers will be informed about relevant social, health and working conditions of the beneficiaries of the project. 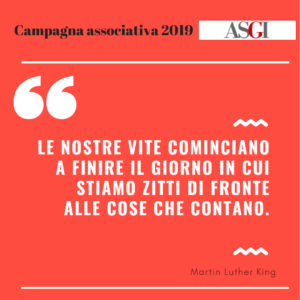 The project is supported by Fondazione Charlemagne, Fondazione con il Sud,Fondazione Nando Peretti and Open Society Foundation.